The baitcasting reel, is a reel on which the line is mounted on a spool on top of the rod. 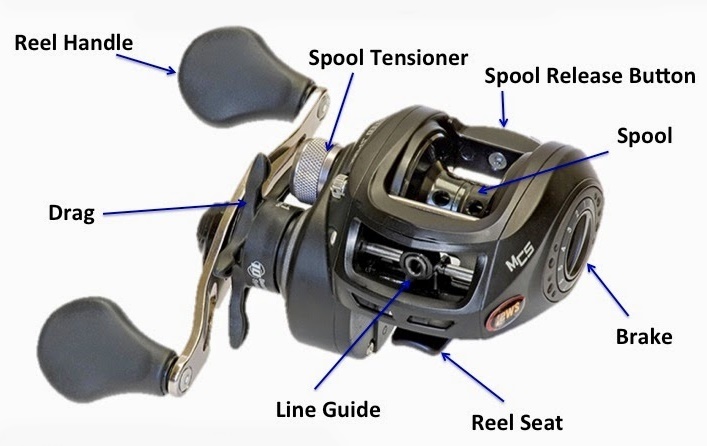 The baitcasting reel requires the cast to propel both the lure and to spin the spool. You also gain leverage, because the reel is placed closer to the rod, allowing you to fight larger fish more easily. 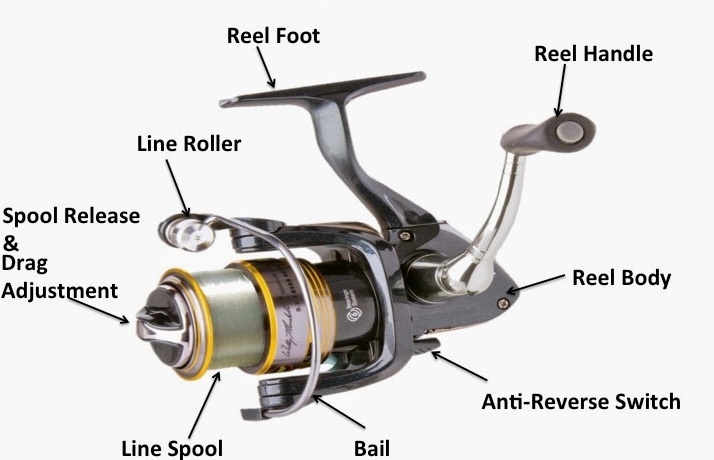 Spinning reels, also called fixed spool reels, Fixed-spool or spinning reels are normally mounted below the rod; this positioning conforms to gravity, requiring no wrist strength to maintain the reel in position. Invention of the fixed-spool or spinning reel solved the problem of backlash, since the reel had no rotating spool capable of overrunning and fouling the line.